For many years, the workhorse of the solar energy industry was the “big box on the wall,” as new clients often call it. The big box is an inverter, or in a battery backup situation, an inverter/charger. These beastly eyesore in garages or on exterior walls were both the engines that converted DC electricity to AC and the brains of the solar energy system. While beauty is in the eye of the beholder, manufacturers started making more appealing looking inverters, particularly for the grid-interactive market. But then someone came along and said, “hey, why don’t we hide the inverter?” The microinverter was born, but there were many more practical reasons to develop this technology. Microinverters, as the name suggests, are simply small inverters. They convert DC to AC electricity just like their big brothers. Because they are small, they fit nicely mounted beneath solar panels, or even to the frame of some solar panels. The magic of the microinverter comes from the fact that it can optimize power output from each panel individually. This system architecture has several advantages and a couple of disadvantages as well. In the old central or string inverter architecture, solar panels were strung together, much like old Christmas lights that created that infuriating search for the one bad bulb. Because solar panels were strung together, and inverters only accepted one to a few strings, each string could essentially perform only to the level of the weakest link. That meant that issues like shading, soiling, and module mismatch (where some panels perform differently as a natural result of the manufacturing process) were probematic. Placing modules with different orientations was an issue. And inverters had relatively narrow operating windows requiring a specific range of modules per string, complicating the design process and reducing flexibility. Since each microinverter is paired with a single solar panel, the issues of soiling and module mismatch go away, and the impact of shading is relegated to only panels that are shaded. There are other small advantages, like design simplicity, easier installer training, minimizing inventory variety, and no high voltage DC circuits and the code complexities that DC circuits add. But the greatest advantage in my opinion comes from the monitoring system. If you can’t measure it, you can’t manage it. A good accounting system solves this. With string inverters, the best you could do was measure string performance, while most monitoring systems just focused on total inverter or system output. This didn’t provide any data about the performance of individual panels, making it hard to pinpoint issues. 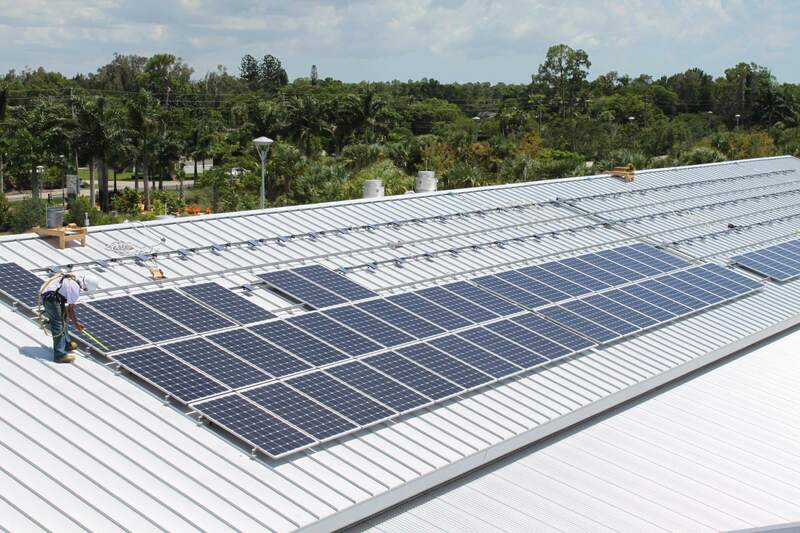 With microinverters, you can see how much power and energy each panel produces, and view this data in near real time. The data is presented online in robust detail. It is very easy to detect correctable issues like shading, perhaps from trees that have grown up, soiling, and panel failures. In fact, you can detect microinverter problems, some of which can be resolved remotely via firmware updates or resets. That brings us to the downsides of microinverters. Because you have many more microinverters on the roof than the single inverter you would have otherwise, there is a greater chance that you will have a hardware failure. Fortunately, microinverter replacement is quite easy, and manufacturers have put in place generous warranties to combat this fear. 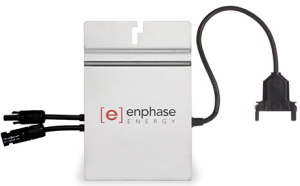 Early generation microinverters did have fairly high replacement rates, but that situation has changed as the new generation models were released. The other downsides are cost related. A microinverter system does cost a bit more. There is some disagreement in the industry over which system type takes more labor. I would argue that there is more labor in the field, but that is offset by the design and warehousing advantages noted previously. Microinverter installation and replacement is a one-person job, whereas some string inverters can be quite heavy, requiring two people for safe and efficient installation. While there are advantages and disadvantages, on par I believe microinverters are the only way to go. So forget about that big box on the wall, and consider a microinverter based solar electric system. 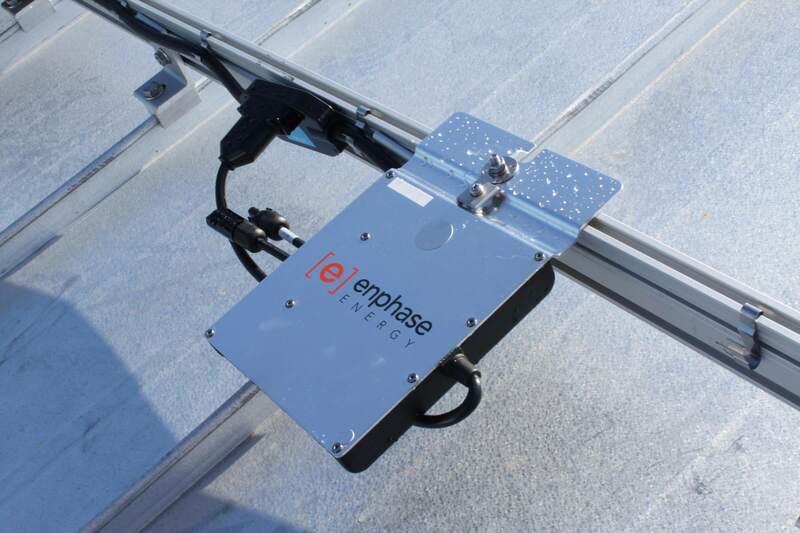 An Enphase M215 Microinverter attached to a solar rail. 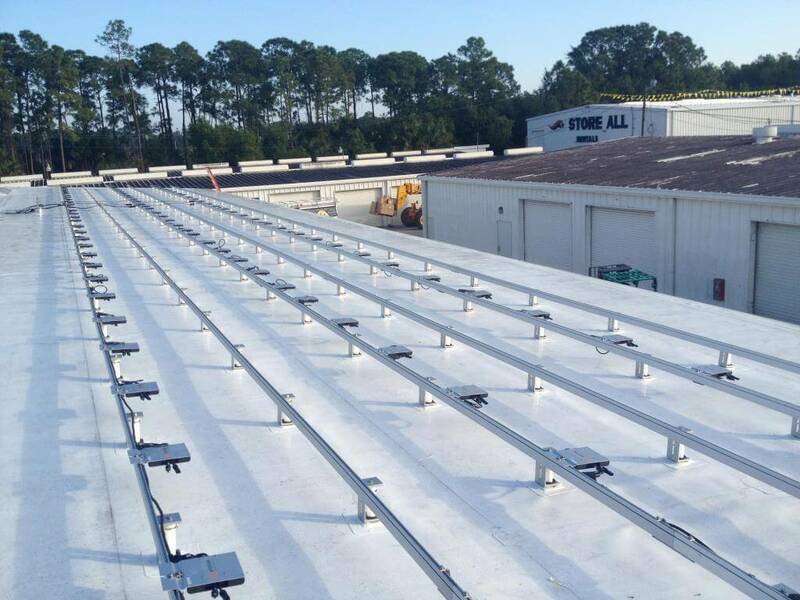 Microinverters mounted to solar rails, lined up and ready for solar panels to be installed.